Latimer is thrilled to have expaneded to a full Kindergarten - 8th grade campus. With innovative electives,an exemplary staff, a competitive sports program and the fastest growing music program in the District, Latimer's students and community are thriving. 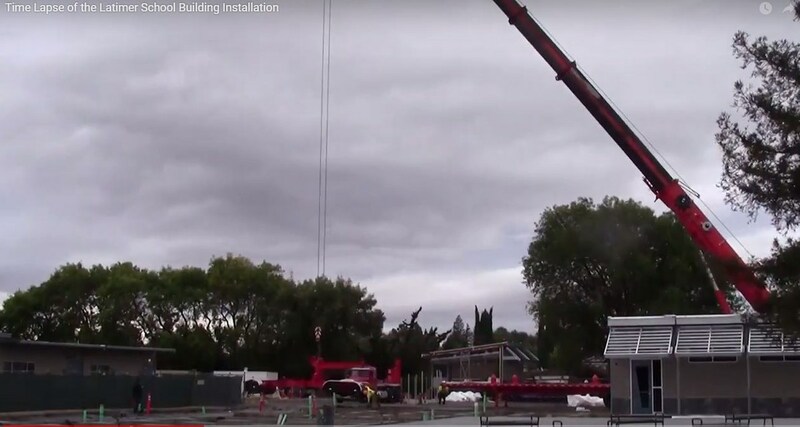 Click the picture below to watch a time lapse of the Middle School Building being put together! Throughout the construction process, as always, we are committed to student safety and minimizing disruptions during the school day. Thank you in advance for your patience as we work to provide the best possible learning environment for our students, while also renewing the Latimer campus for a timely opening this Winter. In an effort to keep families and community members up to date on this work, we’ve compiled some frequently asked questions and answers. Why is there a need for construction at Latimer? 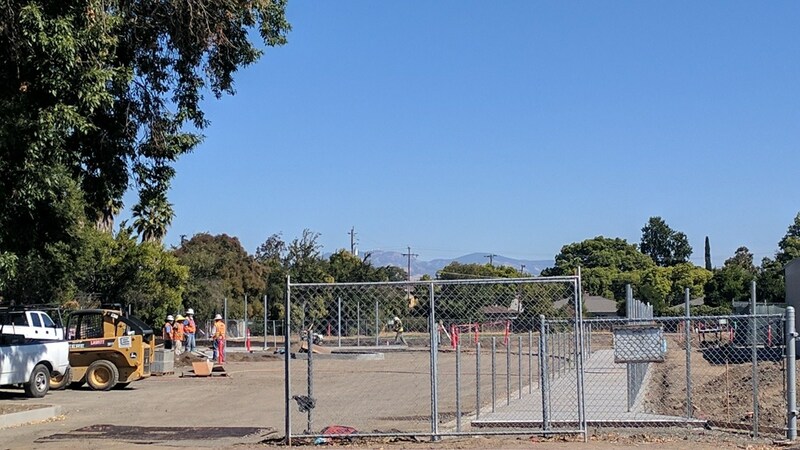 Construction is scheduled to complete a back parking lot, play area, and new middle school building to provide classroom space to accommodate the student population growth we experienced over the last few years. New and renovated locker rooms and a redesigned music building were completed during the 2017 Summer Break. 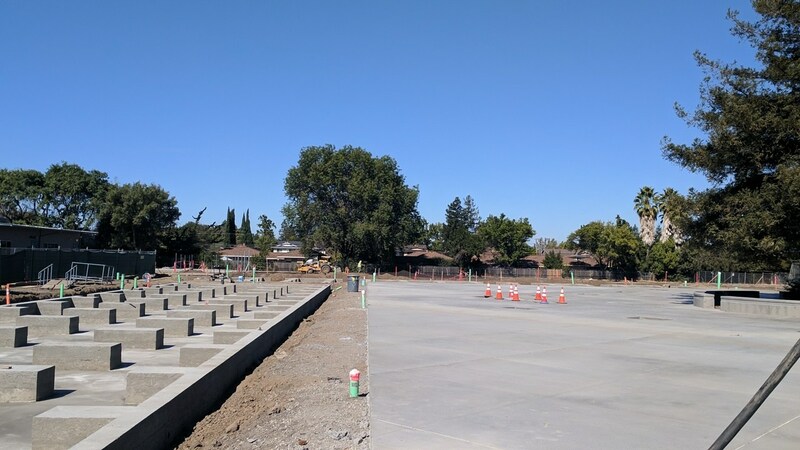 - Pavement is scheduled to be poured for the parking lot and play area this month. 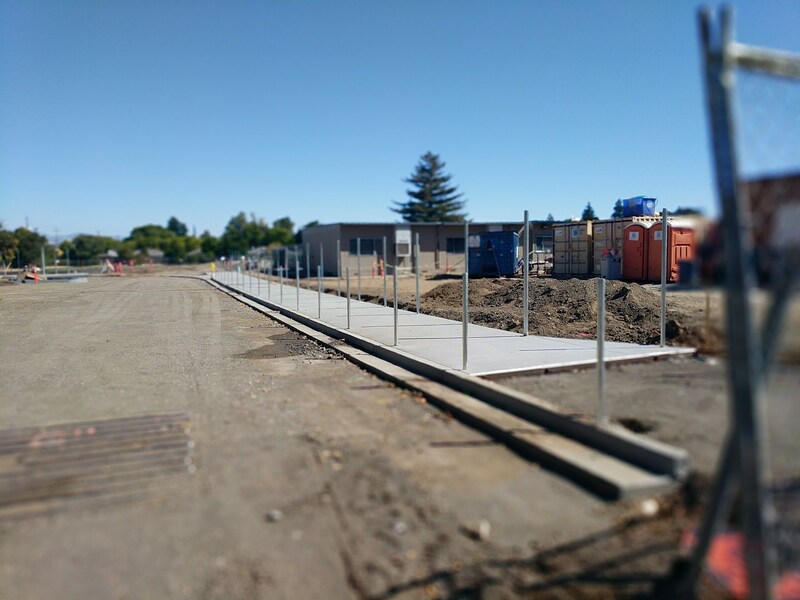 - The Middle School building will be delivered in 10 foot sections starting on October 30th. These buildings are sustainable and offer incredible benefits including natural light to help students feel better and more productive, superior indoor air quality & an energy efficiency rating four times higher than most green school standards. - Once the buildings have been delivered, the infrastructure inside the buildings will begin. completely ready-to-teach room over President’s Week break! 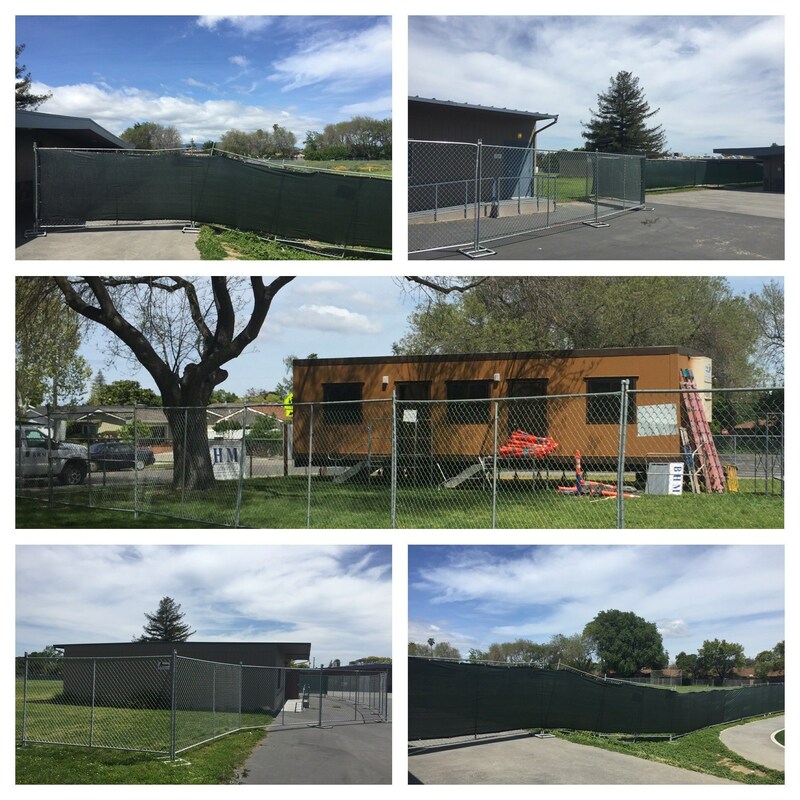 This Latimer Renovation project is funded with the Moreland School District’s Measure K Bond fund. An independent group of community members make up the Measure K Bond Oversight Committee to provide oversight for all projects funded by this community-voted bond. The District is proud to report that the Measure K audit report, presented to the Board of Trustees at the May 9, 2017 Board Meeting, resulted in no findings. How many classrooms are in the new middle school building? 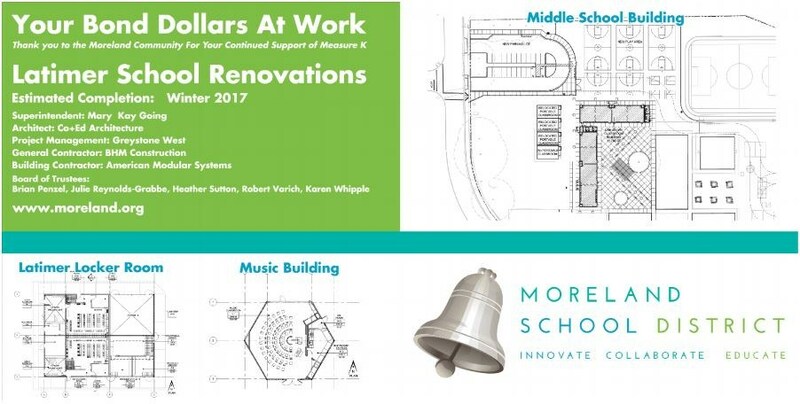 The new middle school building will have 6 classrooms, a middle school science lab, and a makerspace designed for students to come together and work collaboratively in a shared environment. 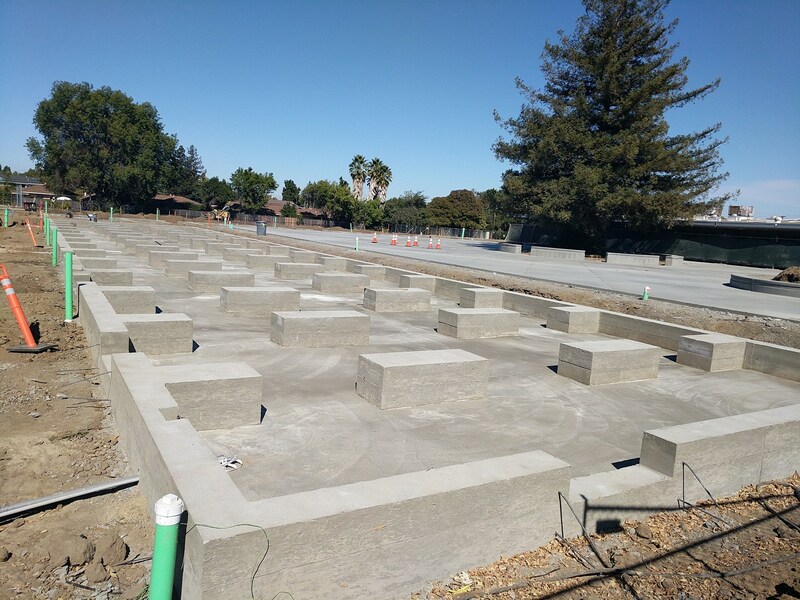 In the city of San Jose, construction typically takes place from 7:00 am – 4:00 pm. 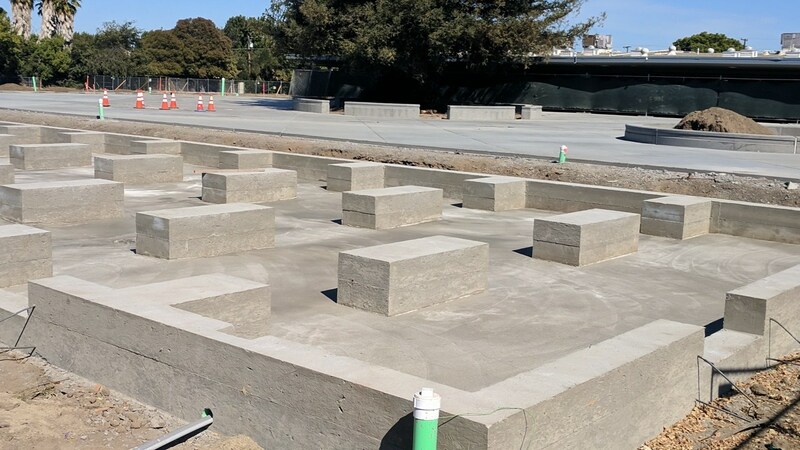 Section 20.100.450 of the San Jose Municipal Code does not allow the use of construction equipment between the hours of 7:00 pm and 7:00 am. What steps are you taking to minimize excessive construction noise? There will be some construction noise during the day. Whenever possible, the District will schedule noisier projects on Early Release days and when school is not in session. With a goal of minimizing disruptions, the District will work closely with Latimer during critical periods while still trying to adhere to the construction timeline. Will there be a lot of dust in school buildings? Most site work will happen outside of existing school buildings, so we are expecting dust inside buildings to be minimal. We respond to all air quality concerns by monitoring building ventilation, performing air quality checks, and bringing in additional particle-control equipment when needed. Ongoing meetings with the construction team to address any communication with our community around the renovation at Latimer. Will construction workers be inside school buildings? Construction workers will be working almost exclusively within construction zones that are strictly off-limits to school staff and students. Yet there may be times when they will need access to the school building. As with all visitors, workers are required to check in at the school office. In addition, workers are required to wear identification at all times and not communicate with students. If I am concerned or have questions, where should I go? As with all school-related questions, we encourage the community to talk with the principal first. Principal Nancy Cisler can be reached at ncisler@moreland.org or 408.874.3601.